Android TV is one of many offerings from Google. Just like any Android device, the Android TV is capable of installing and uninstalling apps. However, getting a third-party app could be tough. Besides, not all apps are available for the Android TV. Hence, it is interesting to know how to install an APK on Android TV. You will see that it is rather very close to the traditional method. Here is a short tutorial on how you can install an app that is not available on Google Play Store or in other words, a third-party app. With Android mobile devices, it is pretty easy getting our hands on apps from external source. However, it’s not the same with Android TV. You can follow the procedure given below. 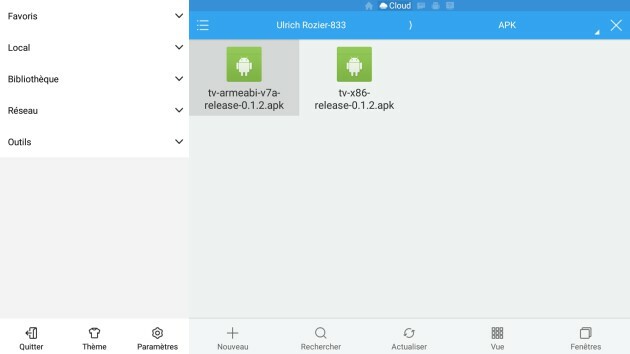 For security reasons, Android TV can not install third-party applications for Android apps. (APK) You must go to Settings> Security and Restrictions. There you will find Unknown sources, simply select Enable. 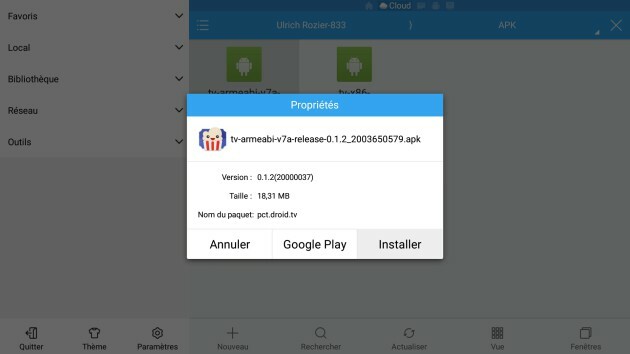 You can download the APK from the official publisher’s website which is always a reliable source. However, sometimes, it is also possible to retrieve APK directly from the Play Store but you will need a PC for that matter. Alternatively, APKMirror is also a reliable source and has an up to date collection of APK versions. Now to transfer your APK to your Android TV, there are several ways. The first is to directly connect a USB stick or microSD card on your Android TV. If your TV doesn’t have a USB port, then you can use a USB OTG for that matter. If that is too much trouble for you, then you can use several Cloud Services to gain access to your APK file. We prefer a feature called “Cloud” found in ES File Explorer app and use Google Drive for convenience. It’s easier to transfer files, once the connection is active. To get access to your APK file with cloud services, first download the Android App of your choice and transfer it on Google Drive using a PC or Mobile device. Once that is done, open the ES File Explorer app. Go to Network by sliding the left window and selecting cloud. Sign in and copy it to internal storage. To start the installation, simply click the APK file. Once the file downloads your installation will start. 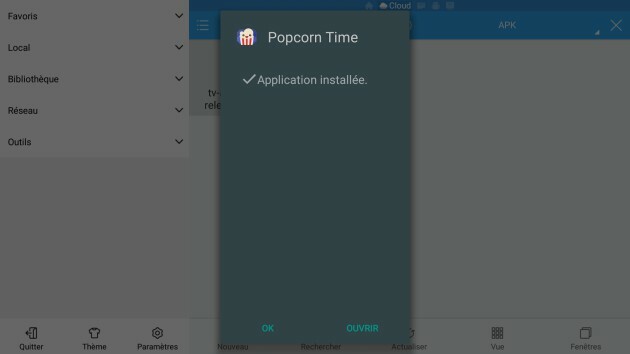 To uninstall an application, it’s pretty simple: long press the application icon on the desktop of your Android TV and then move the app to the trash. Alternatively, go to the Settings and select the application in question in Apps section.